How YOU Can Create FINANCIAL FREEDOM with Property Investment! 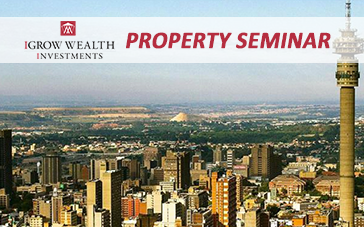 Register for the FREE Property Investment seminar below. hidden to make the video link work. The IGrow Property Investor Group was founded in 2006. 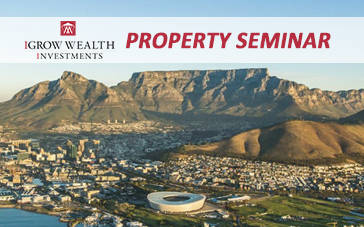 Jacques is a successful property investor, entrepreneur, public speaker and author of several property investment articles and publications. "We give our investors the tools, knowledge and peace of mind to start a buy-to-let business and to make property investment the cornerstone of their pension fund for early and carefree retirement." Secrets about tax efficiency, as well as the correct structures for asset protection are revealed. These are the main reasons investors are successfully building sustainable, long-term investment property portfolios. Identify how investors make money. Buying below market value is a clear way to get the best return on a property investment, coupled with unique refinancing and other investment strategies. We hold regular seminars where attendees gain insight into the business ideas and investment strategies that are offered by IGrow Wealth Investments. Feel free to get in touch with us or have one of our friendly staff members call you back as soon as possible, and remember, we want to hear from you! We’re here to help you on your road to financial freedom. Made in Cape Town by IGrow Digital Marketers. Furnished by OfficeScene. IGrow provides strategic marketing, costing and structuring advice regarding the size, price, layout and specifications of the units to be built, to maximise returns for the developer, helping developers sell out their residential developments as quickly as possible. Enter your details and our New Development Project Co-Ordinator will call you back to discuss your Development. Enter your details below to subscribe to receive our new blog posts first.